No trip to the White Isle is complete without a day spent at the beach, dancing with sand nestled between your toes and the sun beaming down from a bright blue sky. And luckily for you, on Ibiza we’re blessed with an abundance of beach clubs, each with its own spirit and vibe; each with something different, depending on your mood. Here are five of our favourites for you to explore when you arrive on la isla, and if you’re still not sure which to plump for when you’ve read this, give us a shout and we’ll point you in the right direction. Why: It’s like being at a festival, but with less mud. What: This place is the big daddy of beach clubs. Right on Playa d’en Bossa beachfront, you can come here for lunch by the sea before heading inside the Ushuaïa venue itself for what will, without question, be one of the biggest afternoons/nights of your life. 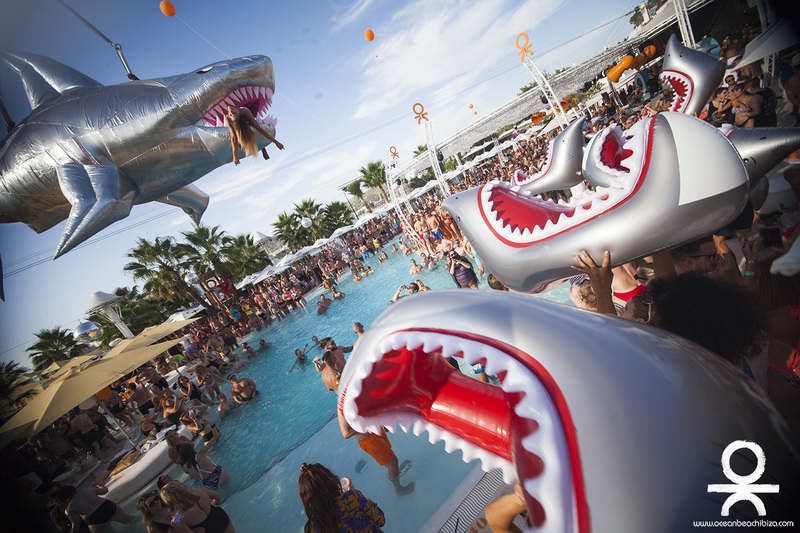 In recent years, some of the most famous names in EDM have been residents at Ushuaïa. There’s been Hardwell, Armin van Buuren, and even Avicii, before he decided to put his feet up, and while this year’s line-ups haven’t been confirmed yet, you can expect more huge names for 2017. Ushuaïa is also famous for its big productions, so prepare yourselves for stage-side fireworks and some of the fittest dancers on the island. Why: It’s the place to go for old school, Ibiza vibes. What: Just a little further along Playa d’en Bossa is Nassau, one of Ibiza’s original and most well-known beach clubs. In many ways, this place set the bar that all other beach clubs followed: excellent beach spot, tick; incredible food, tick; sun loungers with a sea view, tick; laid-back beats to chill to, tick. There’s a reason it’s been open for over a decade, and that’s because it’s a firm favourite with locals as much as tourists, who all come here to spend an afternoon sipping on a cocktail, eating fresh fish and soaking up the rays, occasionally standing up to gently tap a toe in the sand (or dance on a table, depending how much you’ve had to drink). What: Day after day, week after week, Ocean Beach sells out every single pool party it puts on, and that’s because for pure, unadulterated fun, there really is nowhere better. Based in San Antonio on Ibiza’s west coast, this place is all about VIP beds and ballers popping champagne like it’s going out of fashion, which by the way, is another element people here revel in – be sure to bring your best bikinis if you want to blend in. 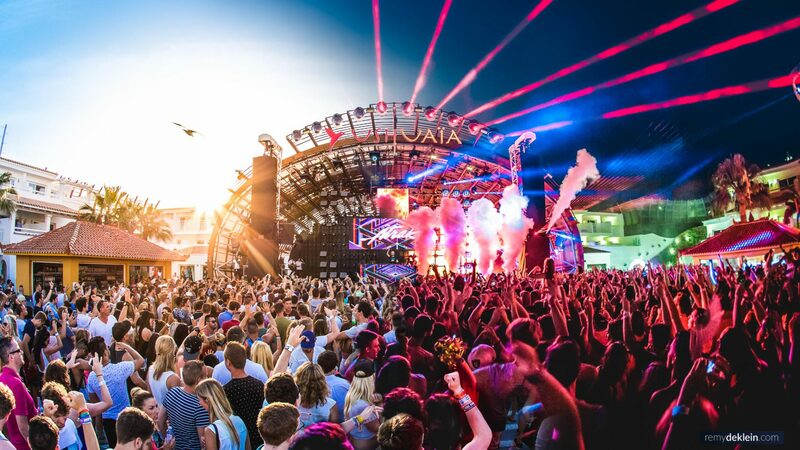 It’s true, there’s a UK-heavy crowd, but Ocean Beach is somewhere that opens everyone with open arms – because we’re all united when we’re tipsy and happy house beats are floating through the air as the sun goes down. What: Well yeah, the line above tells you everything really. Blue Marlin is the beach club of the rich and famous – they sail across the Med, moor their super yachts just offshore and then catch a dinghy to the beach where they spend the day lounging on luxurious sun beds and sipping on an eye-wateringly expensive bottle of champers. The crowd is beautiful, well-groomed and up for a party until the small hours – go here on a Saturday and you’ll really see things kick off. 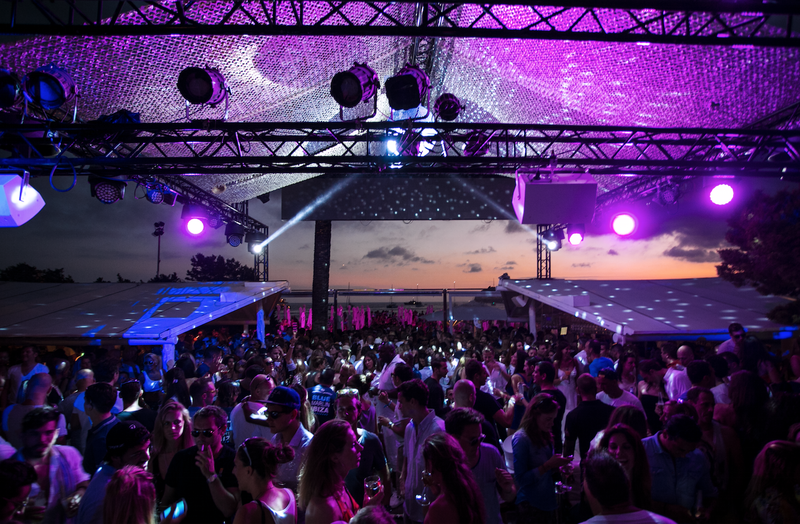 In recent summers, Blue Marlin has also become home to DC-10 after parties, the perfect combination of the underground merging with the ostentatious. 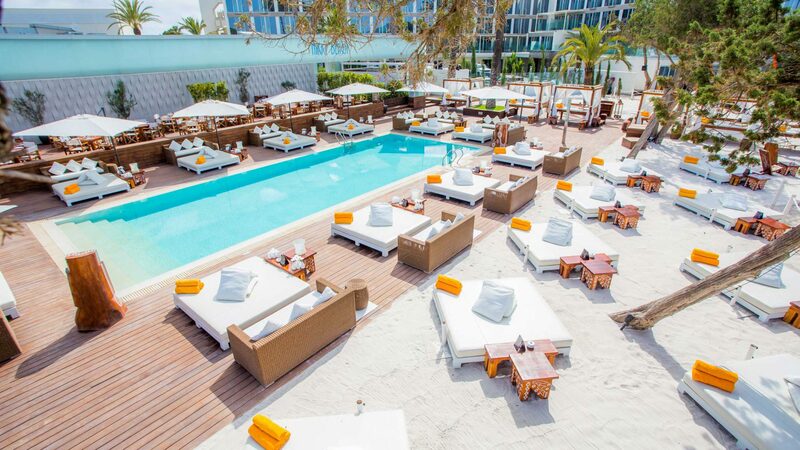 What: Standing strong on the east side is the internationally renowned Ibiza arm of Nikki Beach, a brand that’s praised the world over for its dedication to having a jolly good time – poolside, naturally. Come here to squeal as you jump in the pool overlooking the Med, before climbing back on to your sunbed to sip on the ice-cold cocktail that’s just been delivered to your table. For those of you less fond of getting wet, there’s also a highly-acclaimed restaurant, where on Sundays during high season you can eat yourselves silly at a bottomless brunch washed down with champagne, aka the perfect Sunday.